Dramatic arts student Themba Thwala recorded a hip-hop single this weekend in the presence of a rapper he hopes to emulate in the near future. For now, he will have to settle for rousing Witsies from the slumber that sweeps over the campus and the city at this time of the year. 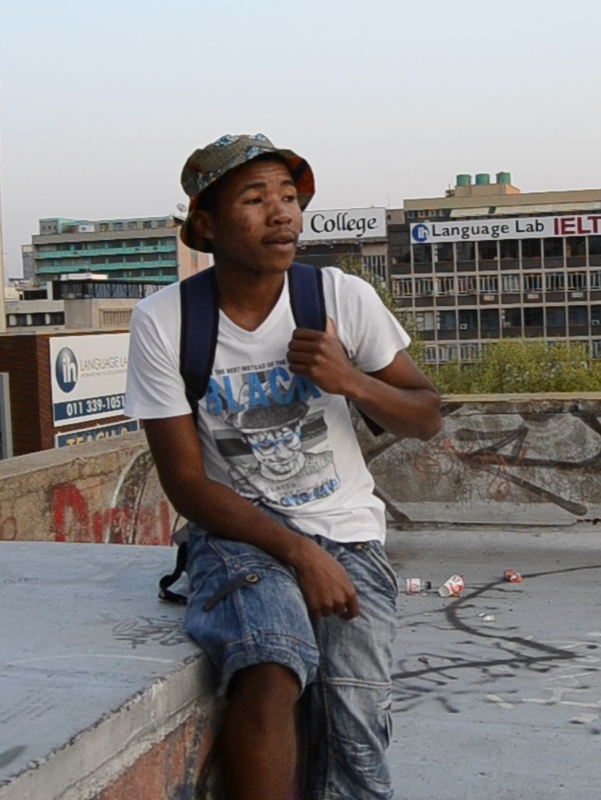 Mag, Thwala’s stage name, is Wits’s representative in Blackberry’s campus wide search for South Africa’s next rap star. 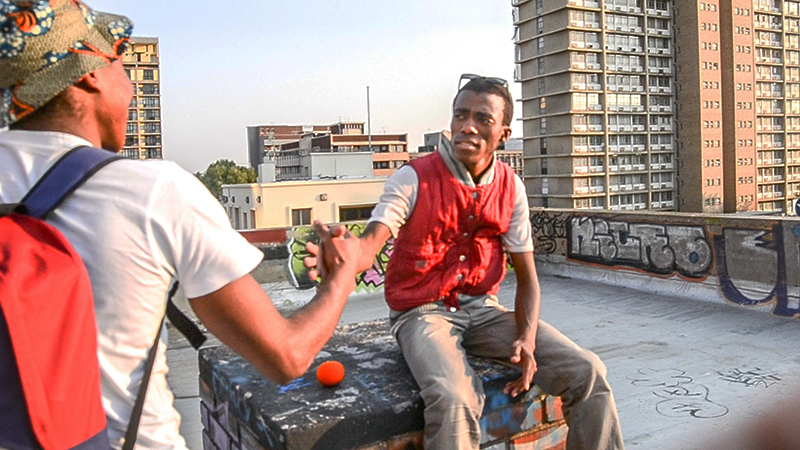 The word-slinger is fresh off a weekend with Sama-award winning artist Khuli Chana. He was one of nine artists recording a single for a chance to perform it on stage with the Maf Town rapper. Wits Vuvuzela spoke to other heads (colloquial for die-hards of hip hop) on campus in hopes of understanding the relationship between hip hop and their studies. Asked what they were “officially” studying, hip-hop enthusiasts who had volunteered themselves as guinea pigs, went from light bewilderment to gushes of philosophy at this simple question. Third year B.Ed student Asanda Bikani, or “Nobody” when he takes on his emcee persona, said for him it was about more than rapping and listening to hip-hop music. “It’s about propagating the things people need to hear…about motivation and telling people they’re beautiful even if they know it,” Bikani said. Bikani said what he learnt in class influenced what he rapped about, giving him more ideas to dismantle and build on. Karabo Randa was unusually intrigued by the “what are you studying” question, the line between her academic education and what she’d learned through hip-hop fading at the mention of the distinction. The rapper and co-host of VoW Fm’s hip-hop show The Total Package said the metamorphosis of hip-hop from the 1990s up to now interested her: “At that time the music was a mirror for the listeners to look at themselves. Right now in the music, it’s me having a mirror looking at myself. It’s very narcissistic”, Randa said. “There’s a weakness in our taste [of hip-hop] that didn’t exist then,” said the 3rd year BA triple major, known as Arazen behind the microphone. She said hip-hop culture as it stood on Wits campus excited her and “awoke the beast that lived inside of all of us”. Mag, who plans to make a career of hip-hop, said he had been studying drama and art since high school and it influenced the way he wrote his music and the references he made in his lyrics Hip hop versus studies? Mag was the quickest to answer, albeit after a fit of what seemed like cathartic laughter. All three agreed that Wits was in a unique position to do something with the raw energy hip-hop generated on campus, be it political, introspective, or merely “for art’s sake”.